Sherloque wants Barry and Nora to to use a memory machine on Grace to get her out of her coma, but Nora panics, fearing her parents will find out the secrets she's been keeping from them. Meanwhile, Ralph tricks Cisco into going out for a night on the town. TV Line Recap: Plight at the Museum — Plus, a Cicada Identity Twist? Den of Geek recap - More secrets of Nora West-Allen are revealed as The Flash gets set for the second half of the season. Heh, from the recap: "Although, I'm willing to bet that given how many journalists at so many different outlets lost their jobs this week, that if the writers could change one line in this episode it would be Iris' "I could turn my blog into a real newspaper." That's a statement so ridiculous that it would be far fetched even in a world where multiple speedsters, metahumans, and parallels universes exist." It's obvious why Sherloque wants Nora paired with Barry inside Grace's brain, but it doesn't make any kind of sense why the rest of the team would go along with it. 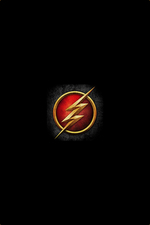 Put the two speedsters in together--why? It would make a heck of a lot more sense to send in Caitlin (who understands how brains work) or Cisco who could possibly Vibe his way through the memories or Cecile who could use her empathic powers to understand what the little girl is is feeling. Again, for a roomful of geniuses, these people don't put very much thought or analysis into a situation. So not only does Arrow "borrow" Batman characters, now Flash is co-opting stuff from Gotham City (even if it is a different earth's Gotham). Even if starting a newspaper is a terrible idea, Iris can't be very inventive when it comes to names. I'm sure there are dozens of possibilities out there that haven't been already claimed. So is Kamilla another Gotham character? The captions was wrong in this episode and said "Camilla", but on Cisco's phone at the end it was Kamilla, and she's in the credits as Kamilla Huang. The Mime is Camilla Ortin, but maybe for diversity they're just updating the character's name? I was hoping for more of Nora's tie to Thawne leaking out in this episode than just the Reverse Flash suit being the defense mechanism. But I guess Sherloque is already figuring something out. I was slightly surprised by Grace turning psycho against metas just like her uncle. That's some crazy self-indoctrination. But I guess if that's all you ever hear while you're in a coma it makes sense to you. I'm wondering who the female Cicada in her mind is though, maybe a grown up Grace? So maybe after all this in the future timeline the Cicada that comes back is actually Grace. Sorry, I should have specified that I was referring to Jervis (The Mad Hatter) Tetch's memory machine. I'm wondering who the female Cicada in her mind is though, maybe a grown up Grace? So maybe after all this in the future timeline the Cicada that comes back is actually Grace. Totally an adult Grace, and that was definitely always the plan. It explains why Cicada was inactive for awhile, then back in force. I actually liked that twist, and the episode was - despite some really dumb moves, already called out here - reasonably emotionally resonant. Like... yeah, people don't remember things perfectly, our feelings color them. Nope, scared little girl is not necessarily in easy mark. Nope, Iris probably wasn't a tyrant. That all mostly checked. More than I was expecting out of this show, anyway. Yeah, Future Cicada is totally Grace. Dear lord, that child was creepy. And homicidal. "It's obvious why Sherloque wants Nora paired with Barry inside Grace's brain, but it doesn't make any kind of sense why the rest of the team would go along with it. Put the two speedsters in together--why? It would make a heck of a lot more sense to send in Caitlin (who understands how brains work) or Cisco who could possibly Vibe his way through the memories or Cecile who could use her empathic powers to understand what the little girl is is feeling. Again, for a roomful of geniuses, these people don't put very much thought or analysis into a situation. " These speedsters aren't geniuses. I think Caitlin was doing something science-y with Sherloque with the head thing on, monitoring what they were doing. And Vibe was out at the bar with Ralph. Dunno where Cecile was but she's not in every episode. I wanted to cry at that Iris blog newspaper line. That is more science fiction impossible than literally anything else on this show. Iris wanting to start a newspaper is proof that we are not on Earth-1. However, Iris getting back to reporting and Ralph and Cisco being bachelor buddies are both developments that were promised before the season began, so it's nice to see them finally arrive. Other than the implausible newspaper plot I thought the rest of the episode was really well done. They efficiently moved several story lines forward without any of the characters being overly stupid (Nora wasn't wise to go into the memory machine alone but her decision making made sense to her) which is high praise for an Arrowverse show! There were no stakes in that story because neither Barry, Iris, Nora or Grace were going to be killed off in episode 12 but that's one of the downsides to a long season.